‘A man of genius, simple, warm, sincere’, wrote the American poet James Russell Lowell (1819-91) about Charles Dickens: ‘He left a world grown kindlier than he came’. We know that Dickens was anything but simple; we know he could be less than warm. And Catherine Dickens, together with many of her husband’s friends, would come to have had a distinctive view on that matter of sincerity. But what about the kindness? Obituaries and in memoriam poems are not the best place to look for balanced assessments. But at least we know how Dickens had hoped, at first, that the world could be made kinder. At the end of Hard Times (1854), it was up to individuals. ‘Dear reader!’, he said, ‘It rests with you and me, whether, in our two fields of action, similar things shall be or not’. Individual consciences, for a time, mattered more to him than policies, programmes, institutions, organisations. What his novels initially aimed to do was to convert. The secret of industrial relations was not in radical structural reform but in more compassion, in feeling more towards our neighbours, in a stronger sense of mutual responsibility. Dickens as a young man considered Trade Unions had missed the point. Individual hearts, and their capacity for kindness, mattered more than demands for a change in the relationships of production. It was to encourage readers primarily to feel differently, more sympathetically, more generously, that Dickens directed his early imaginative energies. That made it difficult to use his novels as a source of ideas. When Dickens was mentioned in Parliament during his life time, which he often was, it was usually when an MP or Lord recalled a scathing criticism he had made of an institution or a practice. Sometimes one of Dickens’ characters seemed an apt comparison to a real life public figure too. Robert Montagu told William Ewart Gladstone, then Chancellor of the Exchequer, on 22 April 1861, that he was ‘like the sanguine Mr Micawber in Dickens’s tale, who was always in difficulties and always waiting for something to turn up to relieve him’. That was hardly an encouraging view of a Chancellor of the Exchequer. Dickens’ words provided a telling phrase, a chilling illustration, a witty rebuke. But none of that was what the novelist, looking for the conversion of individuals, had hoped in his effort to alter how men and women felt. Yet a shadow came over his belief in human feeling. Dickens’ hope that writing could enhance generosity and encourage love, his faith in the healing strength of sympathy, was troubled by the failure of his marriage from 1858 and his relationship with Ellen Ternan, together with his subsequently dreadful relationship with his children. Claire Tomalin revealed many of the personal consequences of his relationship with Nelly Ternan in The Invisible Woman: The Story of Nelly Ternan and Charles Dickens (1990), and our understanding of Dickens was permanently changed. But the fictional consequences, the influence of these private events on the late work, are subtler. Dickens’ imagination, certainly, became even more preoccupied with guilt, betrayal, anger, jealousy, and violent desire. And, in his fiction, what one individual might feel for another ceased to be a topic for so much optimism. Our Mutual Friend (1864-5) dwelt on a man estranged from his family and on relationships distorted by jealousy. The Mystery of Edwin Drood (1870) began with a broken relationship. But there was no merely straightforward connection between Dickens’ divided, complicated private life and the themes and plots of his later fiction. That later writing was not simply a transcript of Dickens’ inner thoughts and experience. Yet fiction registered his increase in inner sorrow nevertheless. Dickens’ imaginative focus on emotional pain, on human beings at odds with each other, was an oblique testimony to his private difficulties. It is easy to think that Dickens, the most exceptionally vivid commentator on society and politics in fiction in the period, became more and more dispirited by modern England’s political and social failings in his later life. That is the familiar story of his later novels understood as a darkening commentary on Victorian culture and social life. But Dickens after 1858 had also become a victim of his hugely compromised life. And despite what he had seen as the best agent of change and hope, he could hardly now ask his readers for sympathy. Outwardly the model of the Christian family man, he had inwardly become something different. For a novelist who had lived with words, it was a painful silence that he had to manage at the end. It was a fiction about his own life with which Dickens had to live. 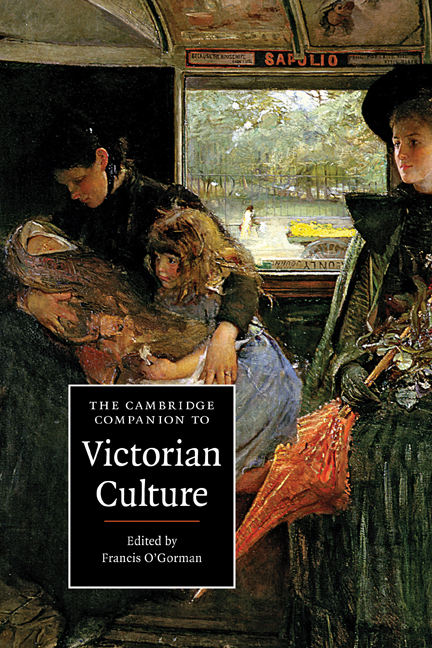 Francis O’Gorman is the editor of The Cambridge Companion to Victorian Culture. He is a professor of Victorian Literature at the University of Leeds. For more Dickens, visit the Cambridge Library Collection’s blog.